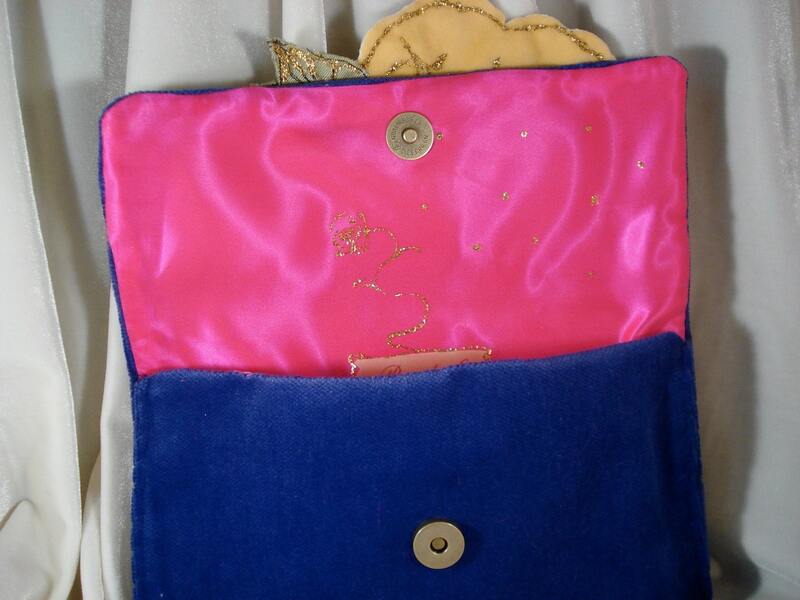 I found a selection of Evening Bags I made for a show and stored away years ago. It is time for them to come out into the light. I am offering them at a reduced price. This bag is stunning. If you love the unique and different this is for you. 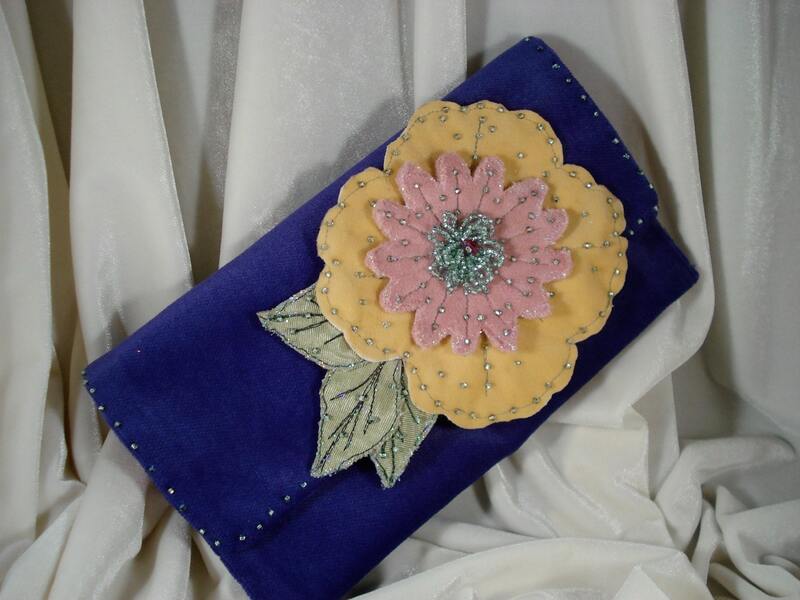 It is a Purple velvet clutch style purse with a large yellow and pink beaded flower. 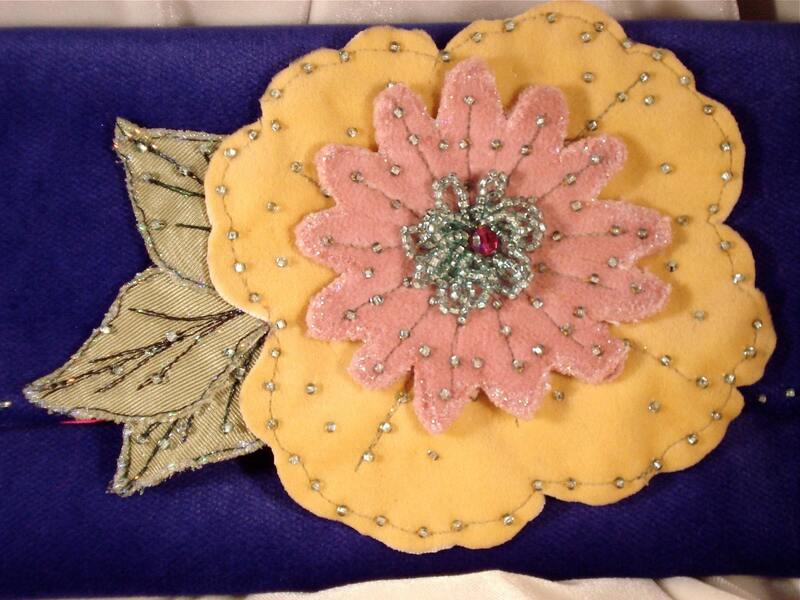 The center of the flower is a vintage beaded earring. The green leaves are embroidered and beaded. 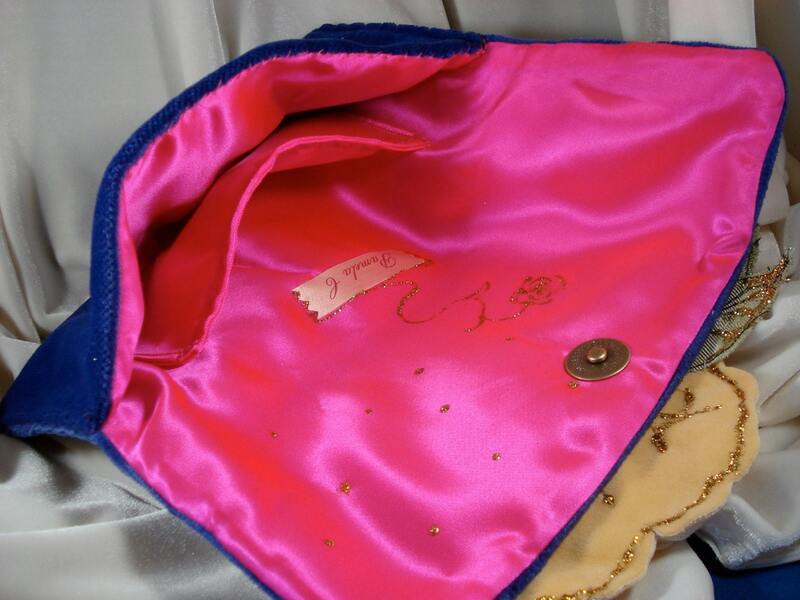 The inside is a WOW factor of hot pink satin, with a small pocket for lipstick or....... lots of room for a cell phone and essentials. Feel free to contact me if you are interested in custom orders. 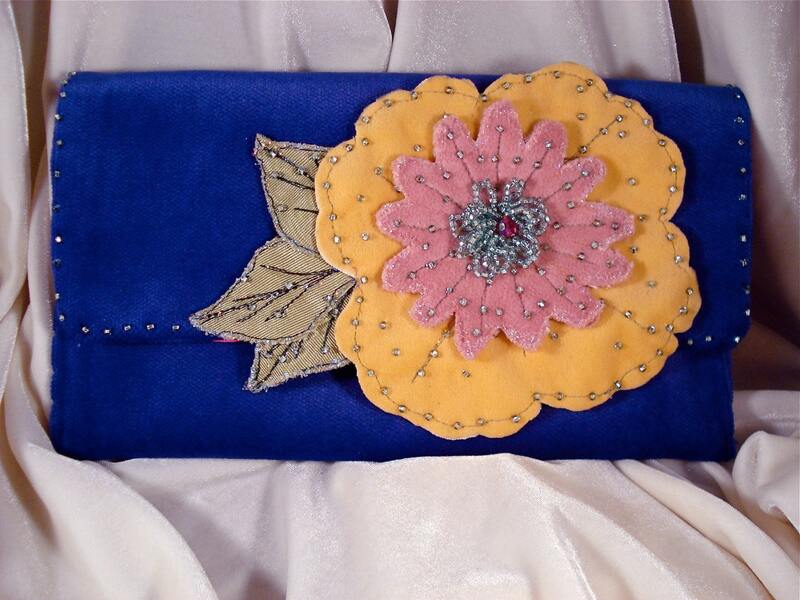 I will be happy to create a new design or to restructure an old one with new color and texture. Convo me to discuss the endless possibilities. This bag measures 8 3/4" X 5"